Saturday, December 13, 2014: Naked Girls Reading: A Very Naked Holiday with special guest Pria Puss at the DC Arts Center, 2438 18th St NW, Washington, DC. 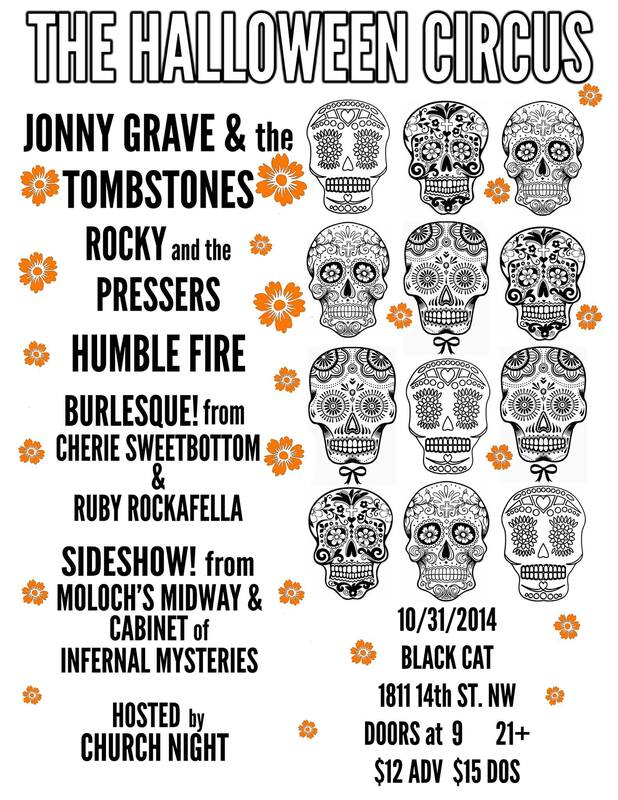 Flyer for The Halloween Circus by Ellie Musgrave. Saturday, November 1, 2014: Snake Oil, Saints, & Spirits at Gallery O on H, 1354 H St NE, Washington, DC. Saturday, December 6, 2014: Twisted Knickers presents Calendar Girls at the Yellow Sign Theatre, 1726 N Charles St, Baltimore, MD. Saturday, December 13, 2014: Naked Girls Reading: Solstice at the DC Arts Center, 2438 18th St NW, Washington, DC.